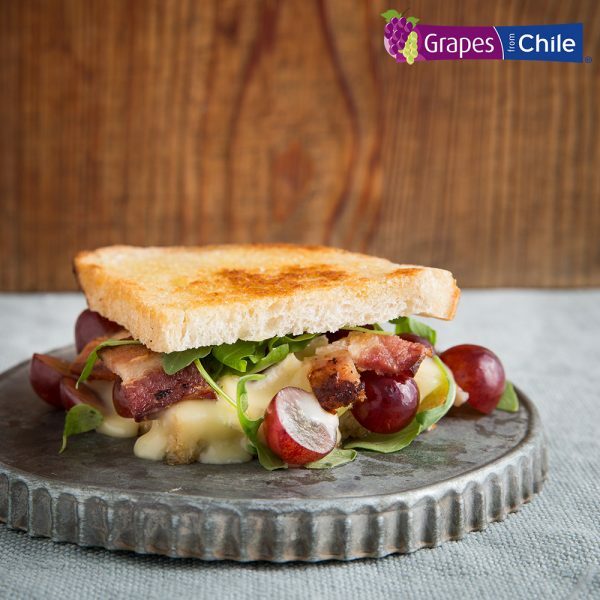 For a quick but easily gourmet twist on a grilled cheese sandwich, make these sandwich melts with grapes from Chile! 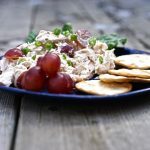 The Applewood smoked bacon adds a slight saltiness that brings out the sweetness in juicy grapes. 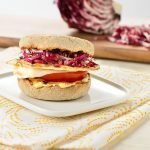 Brie cheese elevates the gourmet factor of this sandwich, with its richness balanced by some peppery arugula. 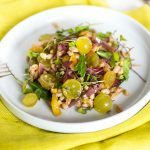 You simply need to make this sandwich for a quick but fancy lunch! Layer the un-buttered sides of 4 of the bread slices with equal amounts of Brie, chopped bacon, grapes and arugula. Top with remaining bread slices, buttered sides up.